Mailster uses Google Maps to display the location of your subscribers. To display them you have to setup a Google API Key. Visit the help article on how to get a new API Key and click on the “Get Started” button. 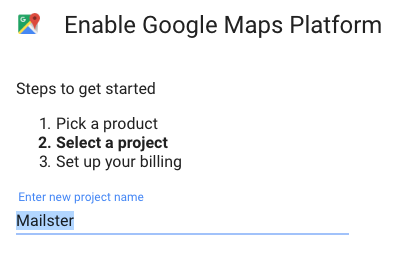 Once you login to your Google account you have to Enable Google Maps Platform. 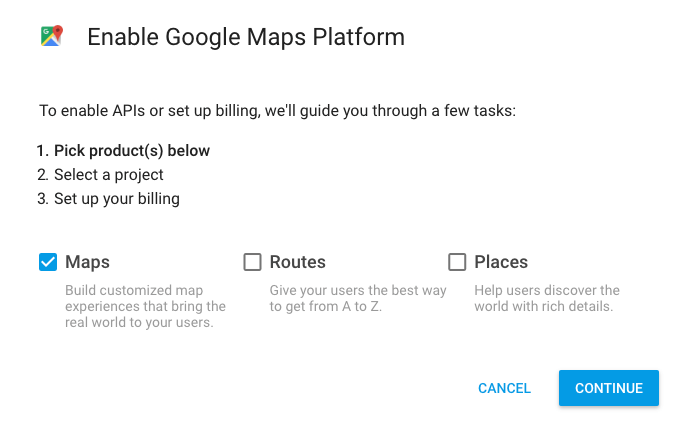 Choose at least “Maps” but you can also check the other options of you need them in a different project. Create a new Product or select an exiting one. Google will enable your APIs in the next step. Your API key is ready to use! Copy and paste the selected API key into the input field on the general tab in the settings of Mailster. Right now this API key can be used by anyone who has access to it. 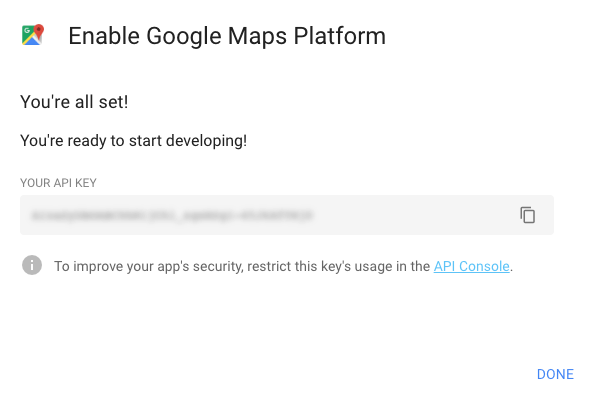 Since the Google Maps Platform has some limits you should secure your API key. 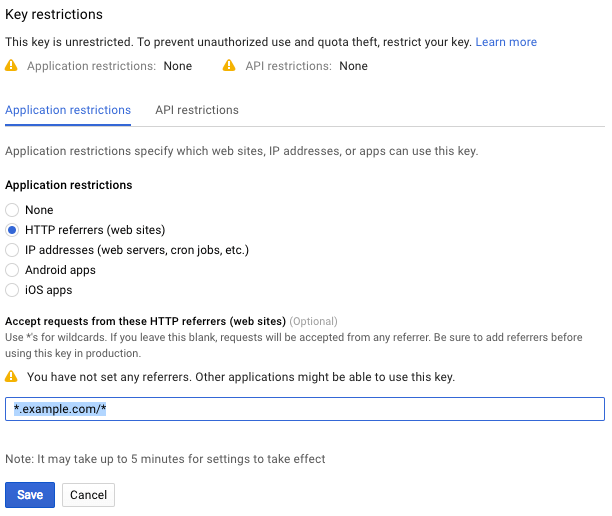 Choose “HTTP referrers (web sites)” on the Application restrictions tab and enter your domain with asterisk (*) fro wildcards. Please wait up to 5 minutes until changes take effect. If you send your subscriber notifications to any web service address like Gmail, Yahoo or Hotmail make sure you add these domains as well!